NYC Immigration Lawyers, Naturalization, Green Cards, Deportation Defense, Brooklyn, New York - How Do I Renew My Permanent Resident Card (Green Card)? 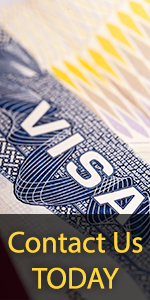 » How Do I Renew My Permanent Resident Card (Green Card)? Section 264 of the Immigration and Nationality Act provides that, "Every alien in the United States shall be issued a certificate of alien registration or an alien registration receipt card in such form and manner and at such time as shall be prescribed under regulations." It also states, "Every alien, eighteen years of age and over, shall at all times carry with him and have in his personal possession any certificate of alien registration or alien registration receipt card issued to him. Any alien who fails to comply with [these] provisions shall be guilty of a misdemeanor." The specific requirements and procedures for applying to renew an expiring permanent resident card are set forth in the Code of Federal Regulations [CFR] at 8 CFR § 264.5. How Do I Apply to Renew My Permanent Resident Card? If you are a lawful permanent resident whose ten-year I-551 has expired or will expire within the next six months, you may renew your card by filing an Form I-90. A Form I-90 can be downloaded from this site, or ordered by calling the Forms request line at 1 (800) 870-3676, or by submitting a request on-line. After receiving Form I-90, read it carefully. Detailed information is provided in the instructions for the Form I-90. Applicants may also file Form I-90 on-line using an Internet connection. Please see Introduction to E-Filing for more information. What If I am Outside of the United States? If you are outside the United States, and your permanent resident card will expire within six months, (but you will return within one year of your departure from the United States and before the card expires), you should file for your renewal card as soon as you return to the United States. If you are outside of the United States at the time of the card’s expiration, and you have not applied for the renewal card prior to your departure, you should contact the nearest American Consulate, USCIS office, or Port of Entry, before attempting to file Form I-90 for a renewal I-551 card. For more information on USCIS office locations, see the Field Offices page. For information on filing fees, see filing fees, fee waiver request procedures, and the fee waiver policy memo. If you have immigration-related questions, you may call the USCIS National Customer Service Center (NCSC) at 1-800-375-5283. You should be prepared to provide the USCIS staff with specific information about your application, such as your receipt number, Alien Registration Number, name, and date of birth. Please click here for complete instructions on checking the status of your application. Or, you may check the status of your application online at Case Status Online. Please remember that an E-Filed receipt number may not be available through Case Status Online for 72 hours. If My Application is Denied How Can I Appeal? If your application for a renewal of your permanent resident card is denied, you will receive a letter that will tell you why the application was denied. You will not be allowed to appeal a negative decision. However, you may submit a motion to reopen or a motion to reconsider with the same office that made the unfavorable decision. By filing such a motion, you may ask the USCIS office to reexamine or reconsider its decision. A motion to reopen must state the new facts that are to be provided in the reopened proceeding and must be accompanied by the appropriate documentary evidence. A motion to reconsider must establish that the decision to deny your application was based on an incorrect application of law or Immigration policy, and further establish that the decision was incorrect, based on the evidence in the file at the time the decision was made. For more information, please see How Do I Appeal the Denial of Petition or Application?